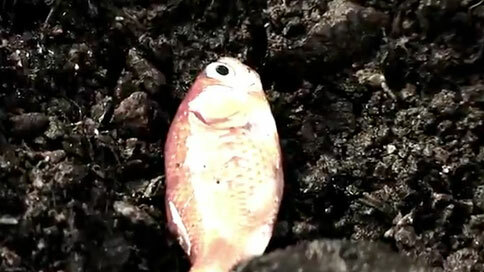 Newt Gingrich is often described as a dumb person's idea of what a smart person sounds like, but Herman Cain may have just topped him with this weird "Goldfish" ad, courtesy of his SuperPAC, Cain Connections. The ad is trying for poetic visual allegory and fails, which is why the YouTube description has to explain it. Plus, visually speaking, it looks like something that ran on Windows 95. Cain, who put out loads of crazy ads while he was still running for president, is now campaigning for Gingrich, who himself is flailing about in little puddles, gasping for air. So, maybe that's what the fish is really supposed to represent.